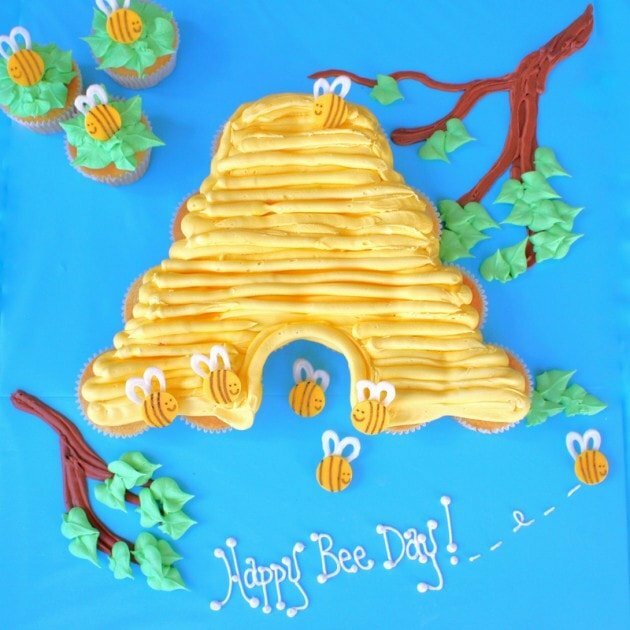 Pull apart cupcake cakes are one of my FAVORITE kid friendly cake designs because they are cute, easy, and fast! I think we’ve all seen our fair share of cupcake cake fails (thanks to Cake Wrecks) haha- but don’t let that scare you away! 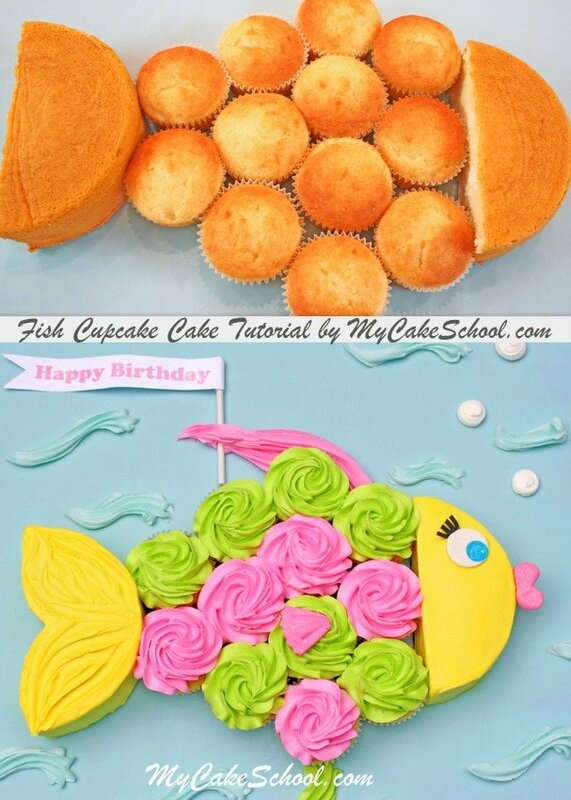 When done right, you just cannot beat the cuteness and convenience of a cupcake cake. Just grab and go! 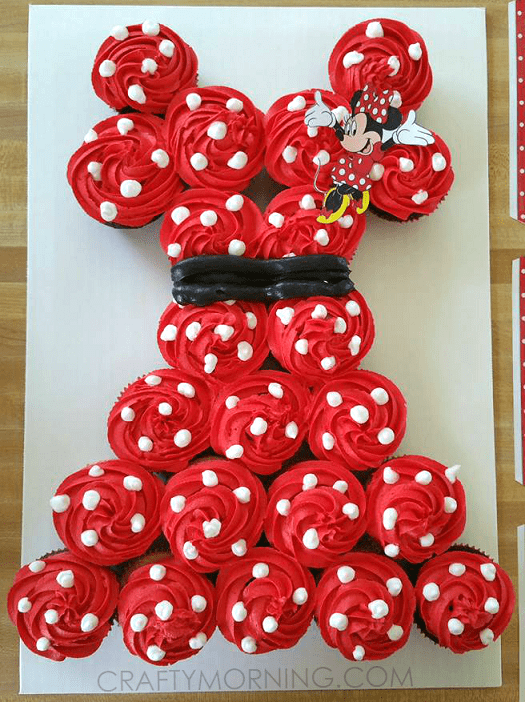 Today I’m featuring a roundup of cupcake cake designs for all occasions, both from our page as well as other favorite cake pages. 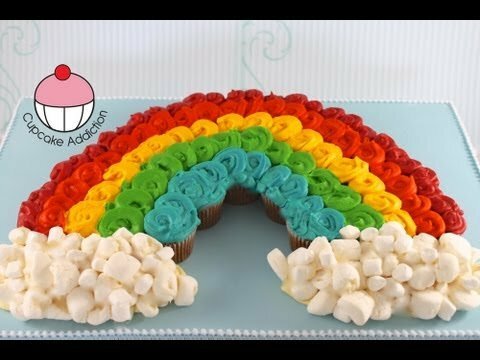 We hope that you are inspired to whip up a batch of cupcakes and have a little fun! 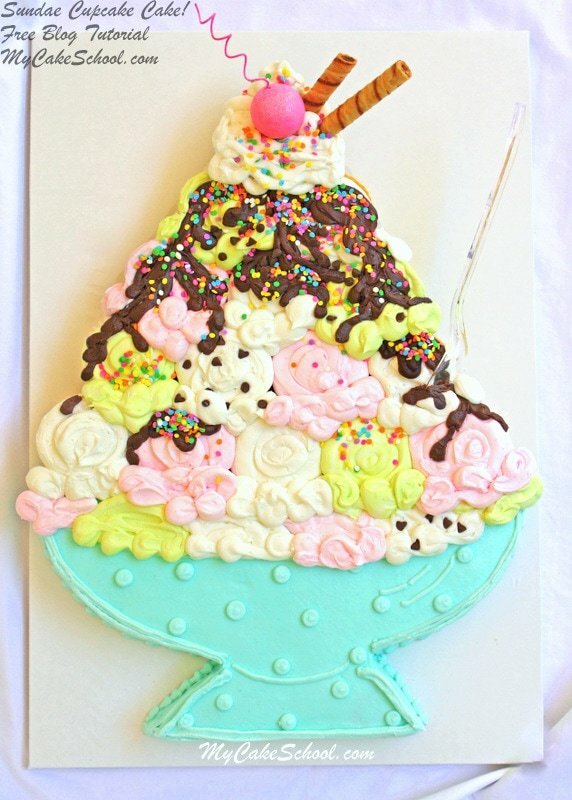 It would be the perfect cake for pool parties as well as luau and beach themes! 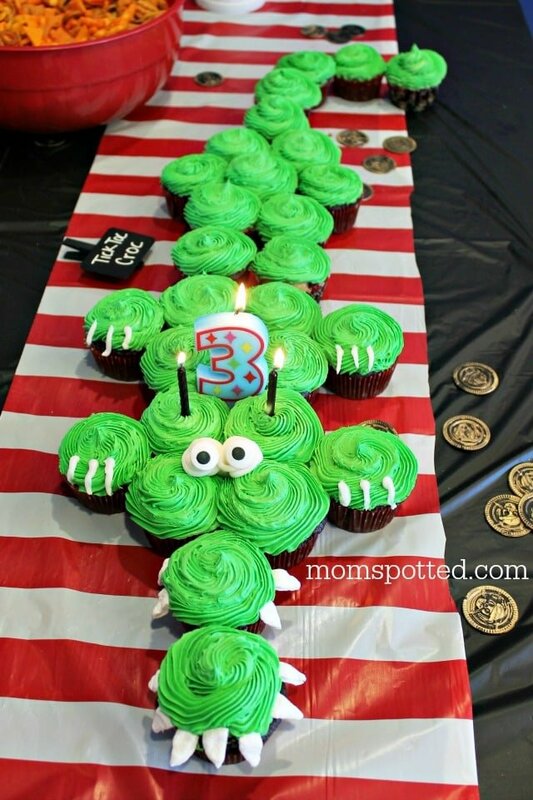 I love this easy Crocodile Cupcake Cake by Mom Spotted! Just look at those eyes & teeth- too cute! 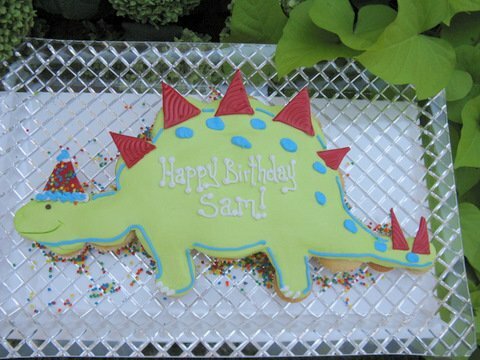 Perfect for a Peter Pan theme, or “swamp party” or just for fun! Sunflowers are my favorite flower – so cheerful! 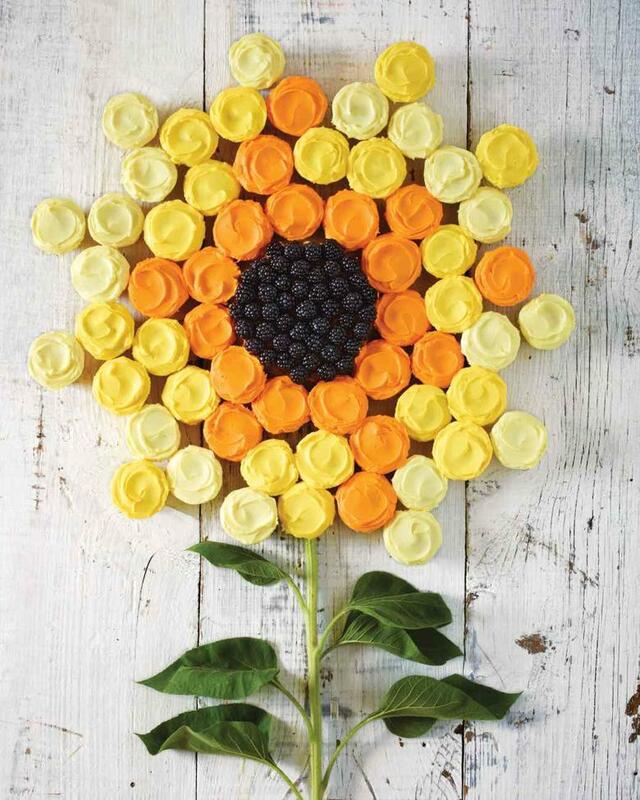 This Sunflower Cupcake Cake by Martha Stewart is sure to brighten up any party or dessert table! I just love it! 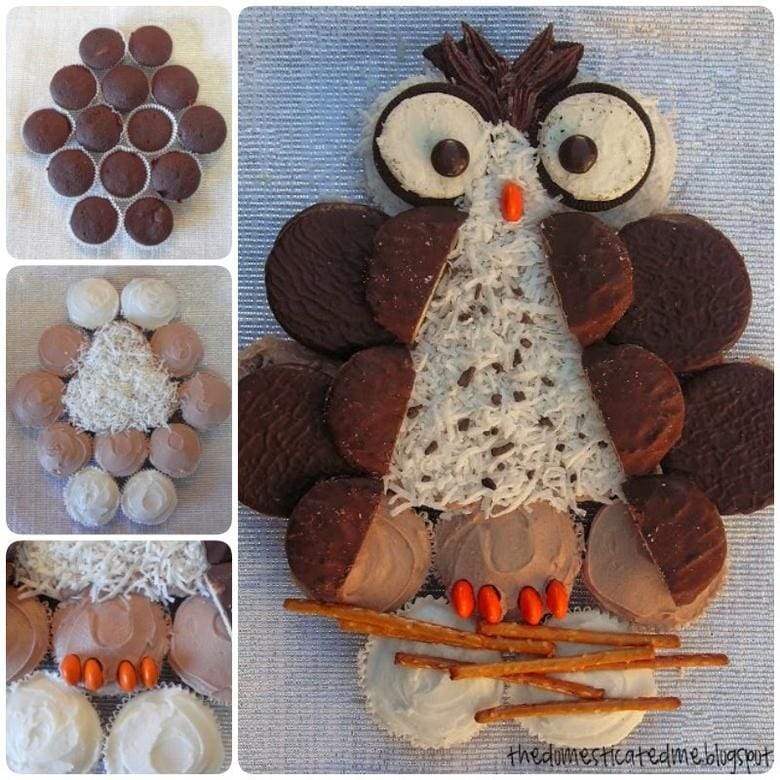 Love, love, love this Owl Cupcake Cake tutorial by Domestic Mamma! Next up, we all scream for ice cream! Especially GIANT ice cream sundaes! This cute pull apart cupcake cake design couldn’t be simpler, as the cupcakes are frosted to resemble scoops of ice cream- easy-peasy! 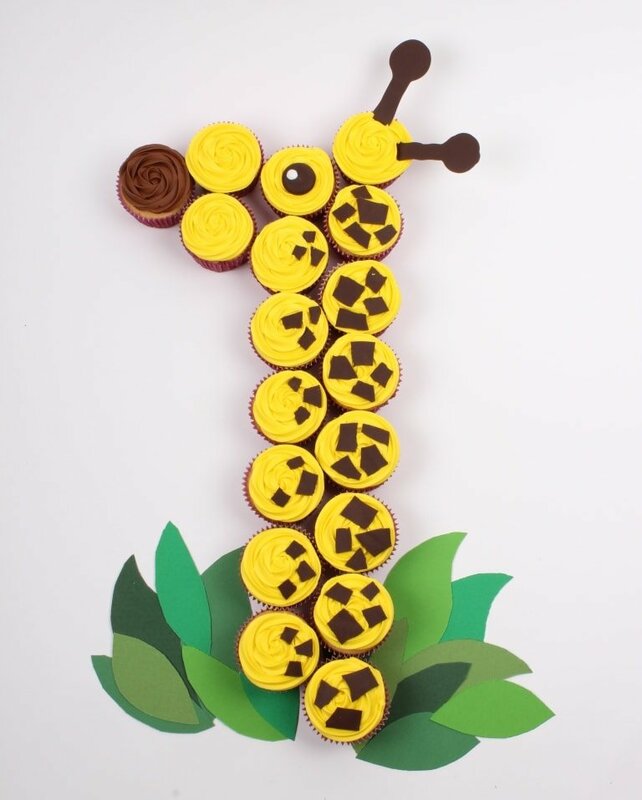 Next up, from HobbyCraft, an adorable giraffe cupcake cake tutorial! 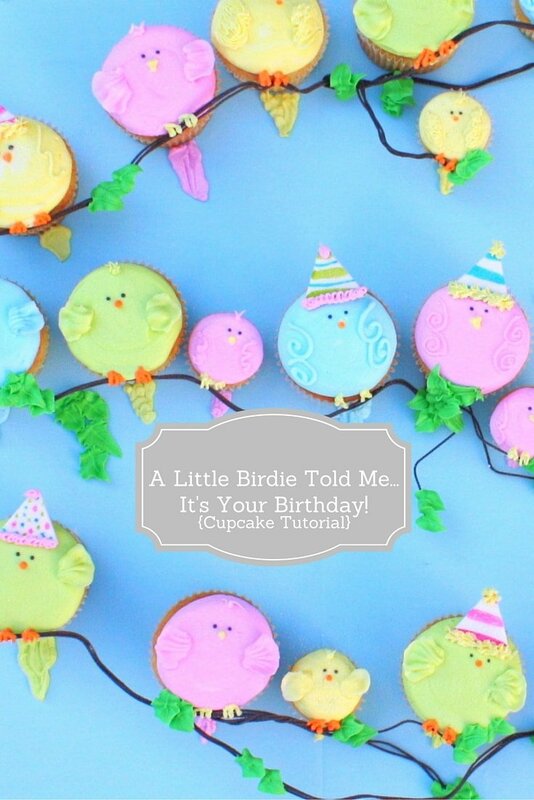 More proof that sometimes, the simplest ideas are the cutest! 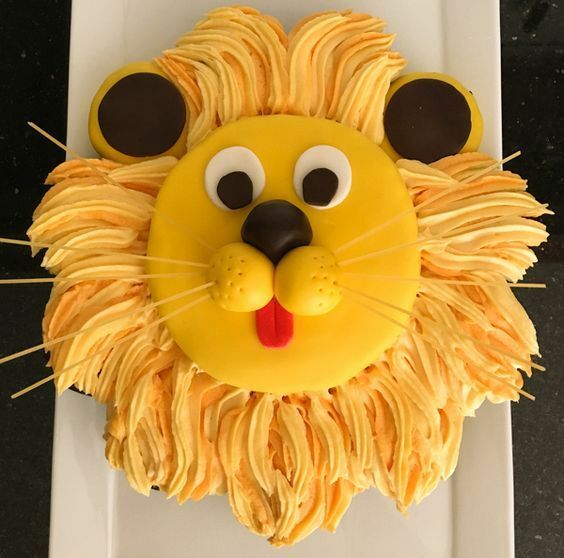 This precious Lion Pull Apart Cupcake Cake design is so simple, and I love the whiskers & texture of the mane! 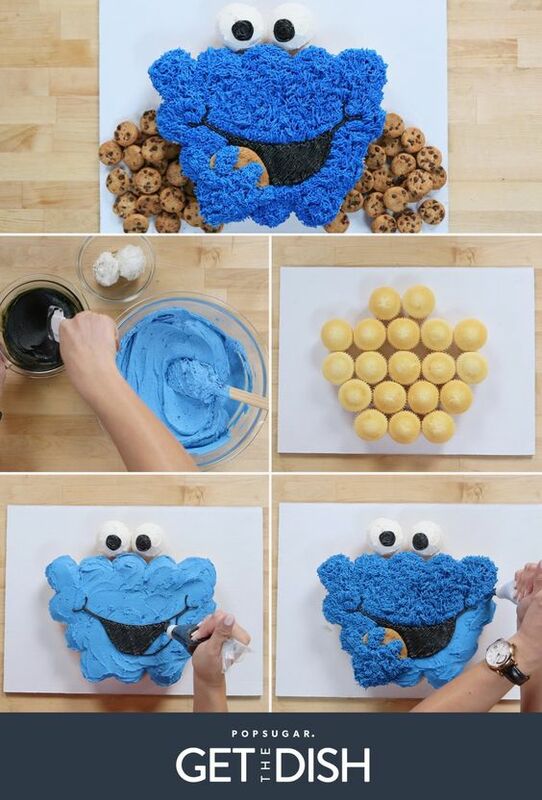 Make sure to check out the Cake Tutorial by Mish Mash of Loves! Beach Party! 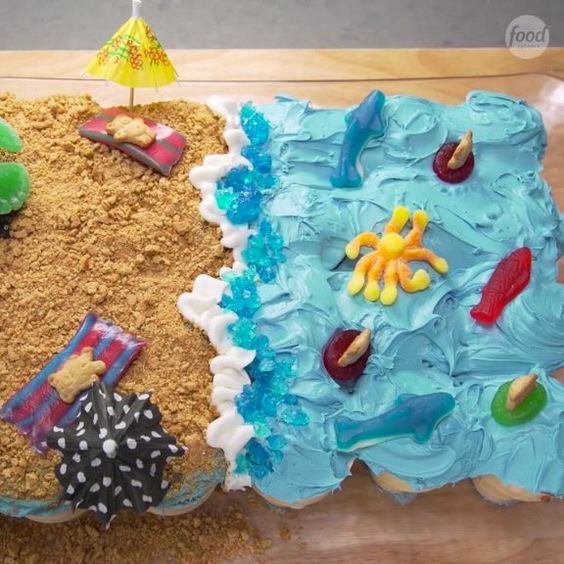 Love this cute and EASY beach themed cupcake cake by the Food Network. 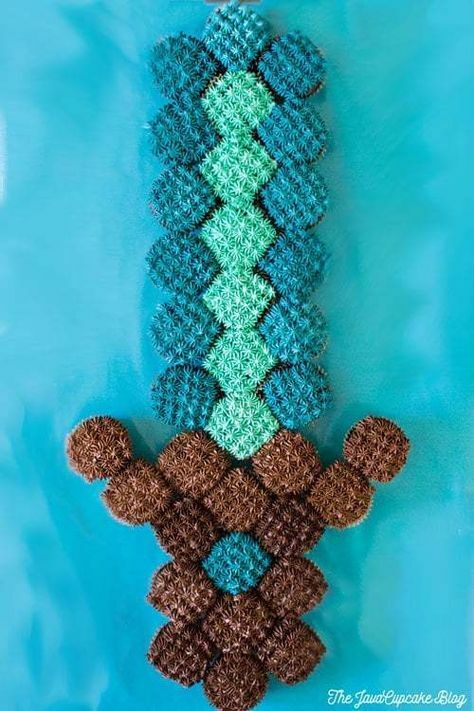 The beach and ocean are so simple to create, and there are a million ways to customize it from there! 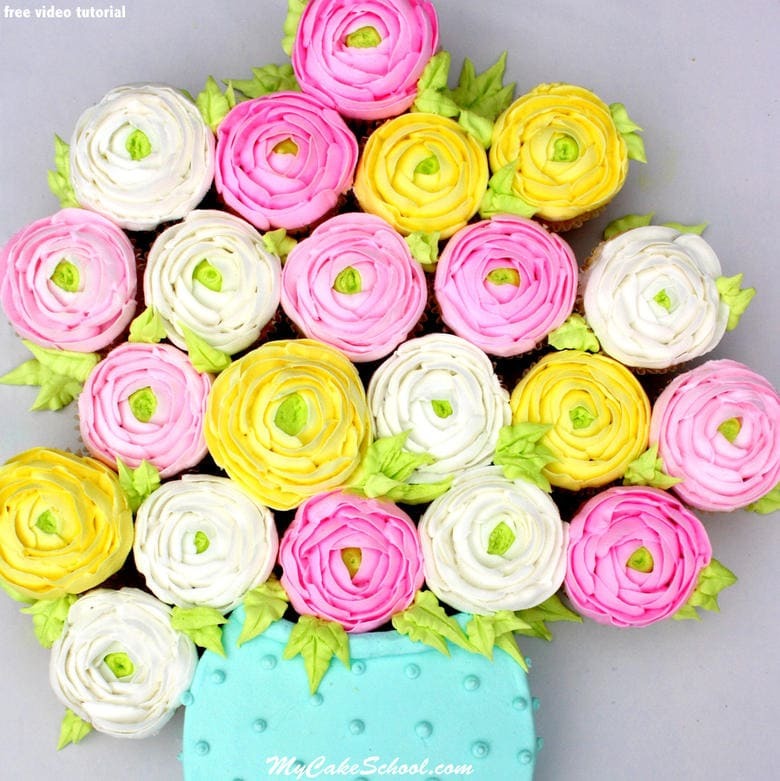 If you like buttercream flowers, you’re going to love our Ranunculus Cupcake Cake tutorial! It would be perfect for birthdays, showers, and more! 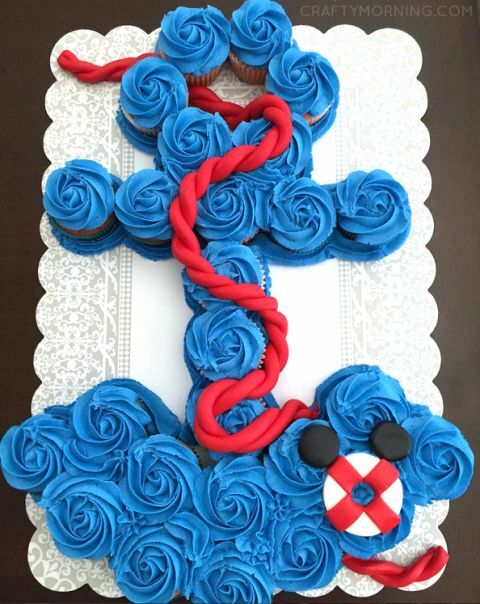 This next pull apart cupcake cake design is perfect for nautical themed birthdays and baby showers! Find the tutorial featured on CraftyMorning.com! So fun! 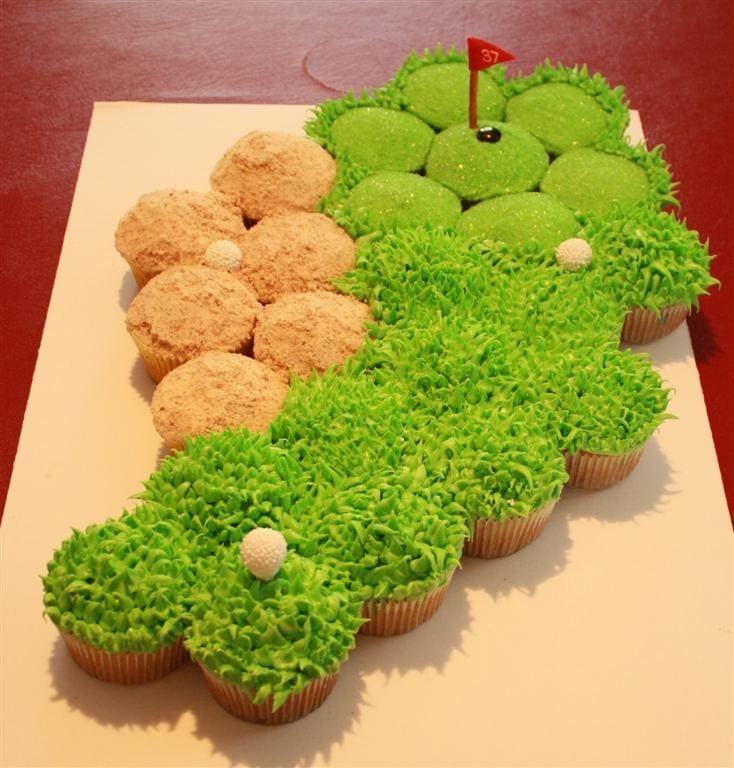 For the golfer in your life, try out this Golf Course Cupcake Cake by Patty Cakes Bakery! 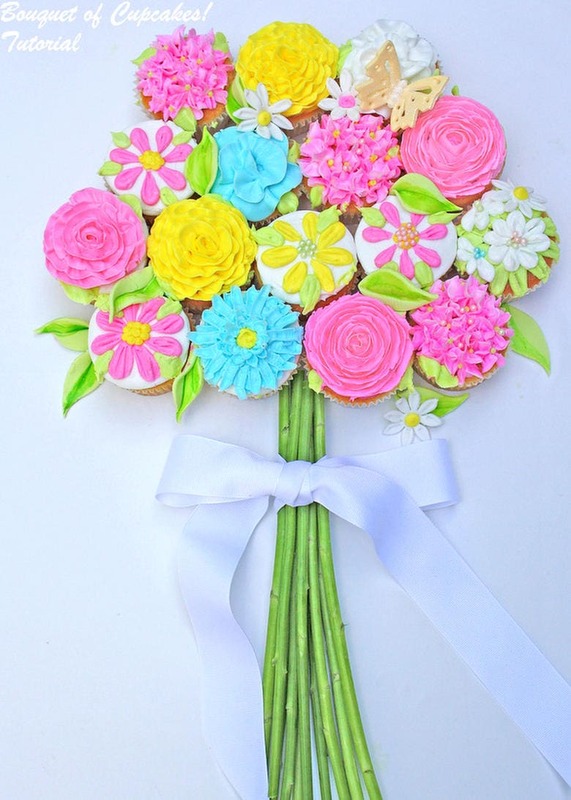 Make any occasion more special with a Bouquet of Cupcakes! This easy pull apart cupcake cake is so much fun to make, and perfect for Valentine’s Day, anniversaries, birthdays, and more! You’ll also learn how to create a few of our favorite buttercream flowers! 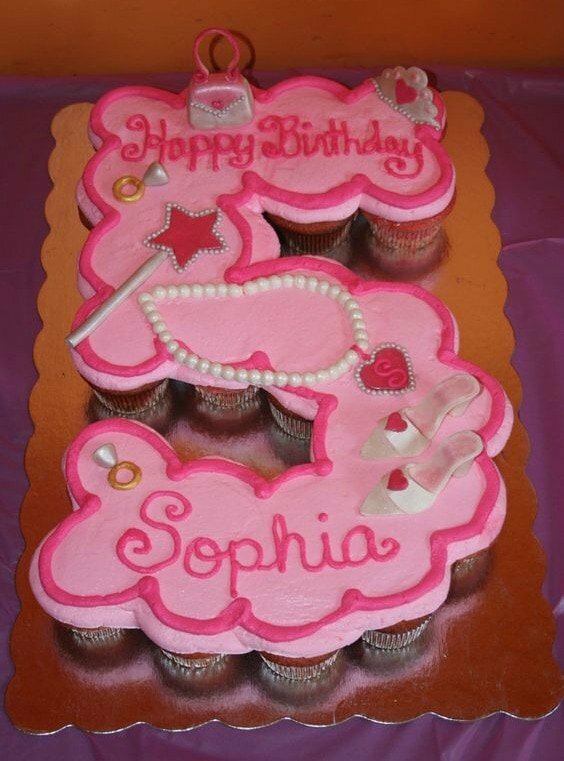 This next cupcake-cake would be perfect for the little princess your life! 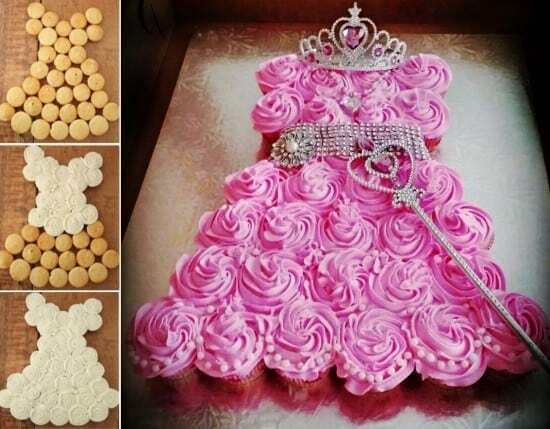 So simple to make and the dress design and colors could be easily altered to match the birthday girl’s favorite princess. Find the tutorial as featured on TheWhoot.com! 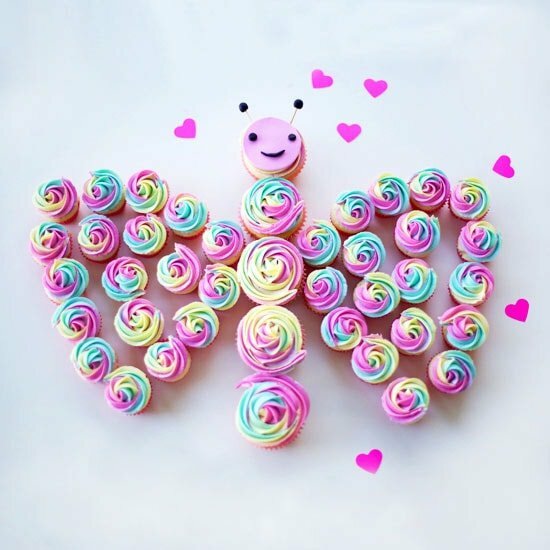 I love colorful cakes, and this cute Butterfly Cupcake Cake is no exception! Find Coco Cake Land’s free tutorial on BHG.com ! 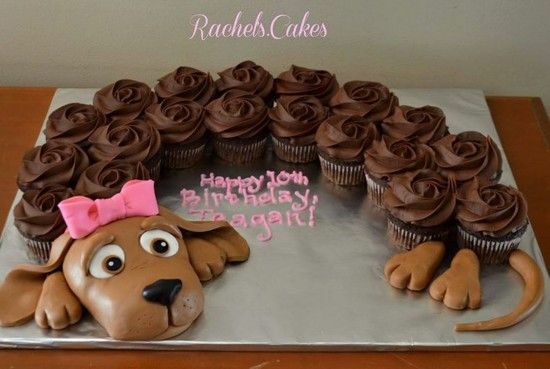 Okay, this Puppy Cupcake Cake is so simple and absolutely precious! 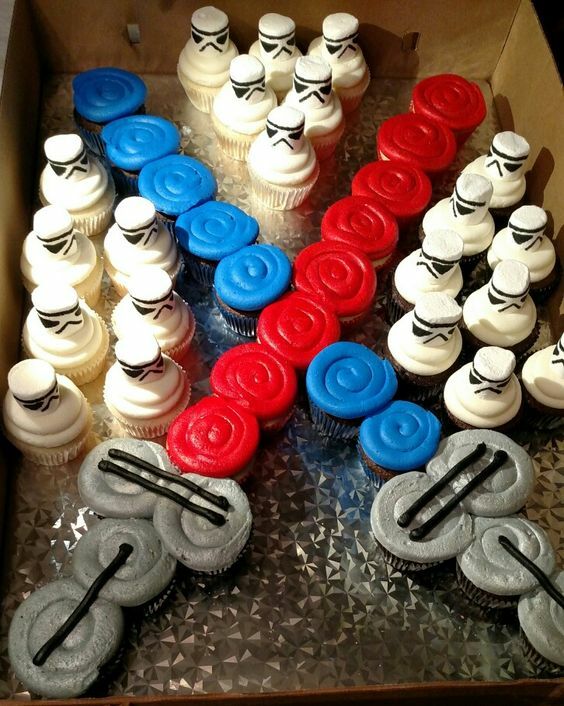 Created by Rachel’s Cakes. 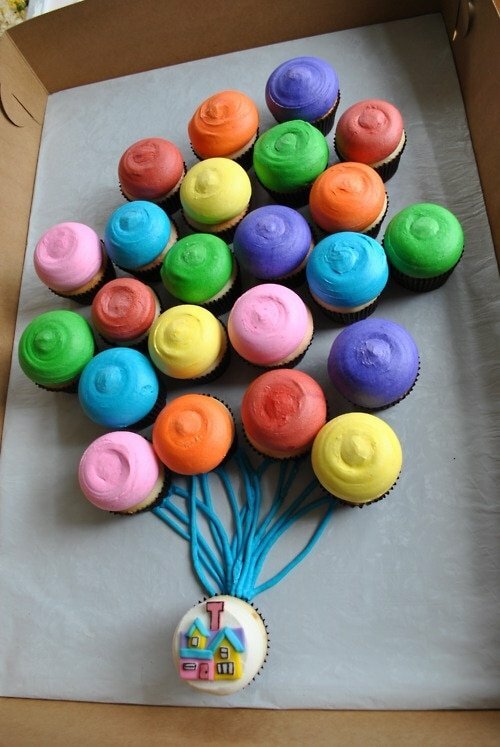 It’s the perfect cake for children’s birthday parties! 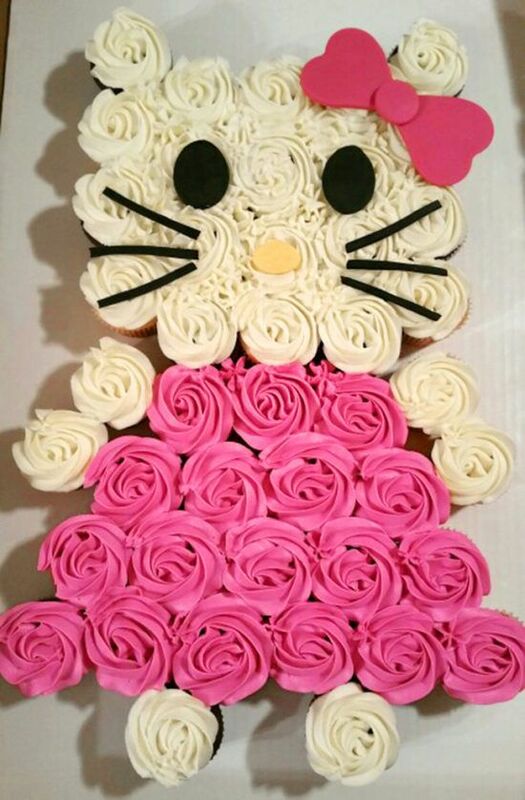 Here’s an adorable Hello Kitty pull apart cupcake cake that we spotted on TheWhoot.com! I just love Hello Kitty designs, so sweet and simple! Sometimes just simply arranging the cupcakes into the age of the birthday boy or girl is the best way to go, as in this cute princess themed cupcake cake design by stephpatterson77 of cakecentral.com! 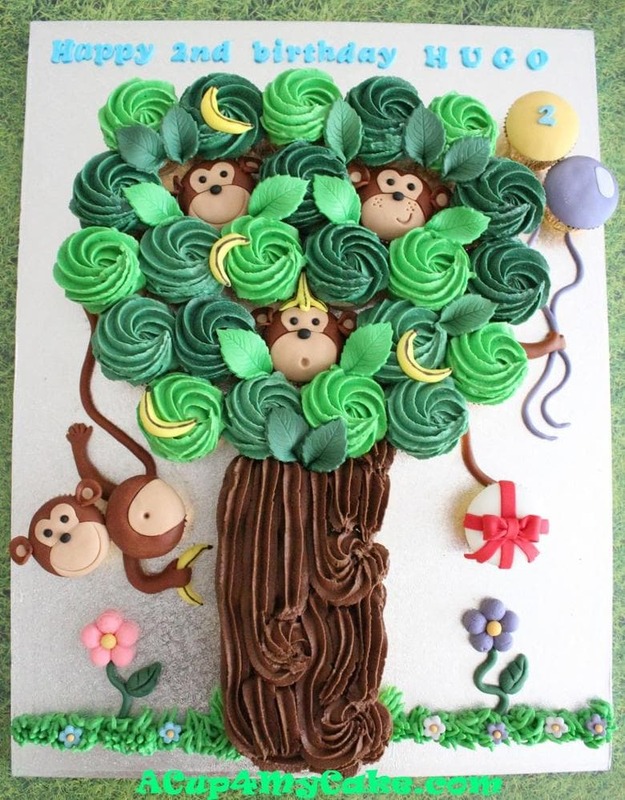 Oh how I love this ADORABLE cupcake cake featuring monkeys in a tree! The unicorn trend is still going strong, and I’m not complaining! 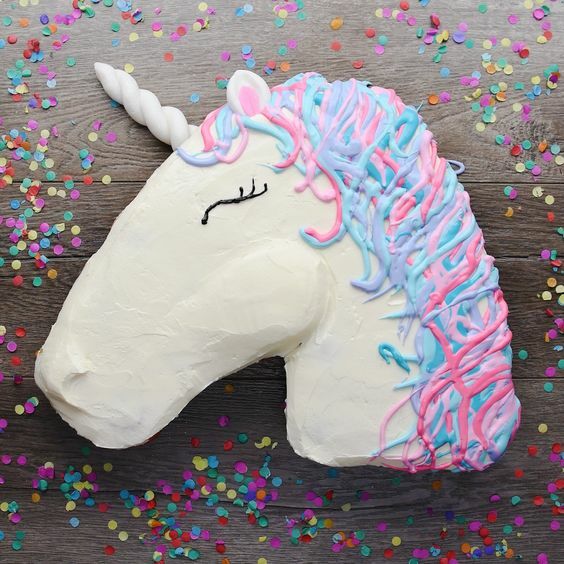 Loving this sweet and simple Unicorn Pull Apart Cupcake Cake by So Yummy! It’s just the cutest! I love this color combination (and her lashes are fabulous)! These ice cream cone cupcakes have been one of our most popular tutorials over the years, especially during the warm weather months! 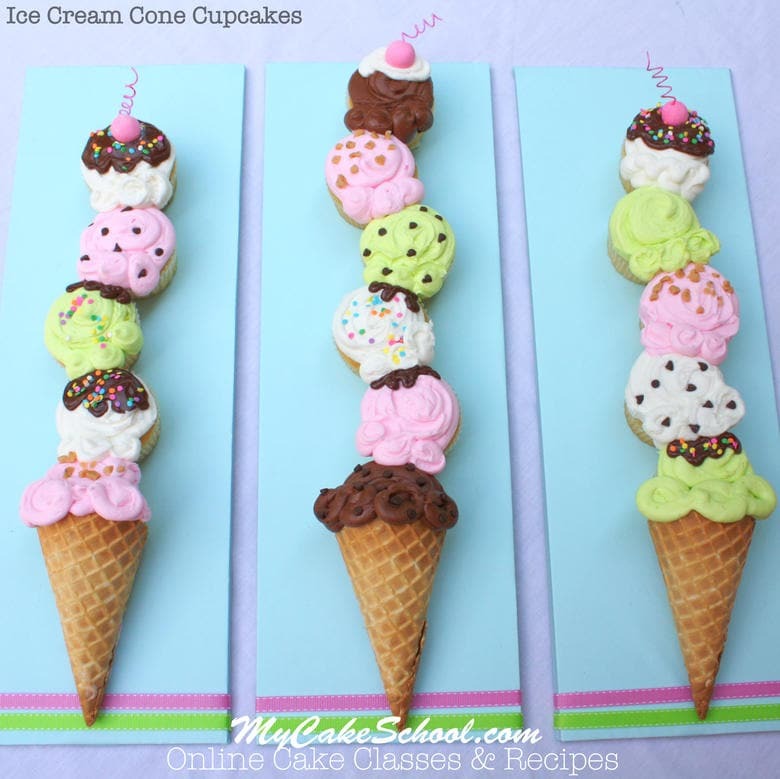 Not only are these tall cupcake ice cream cones super cute, they couldn’t be easier to make! 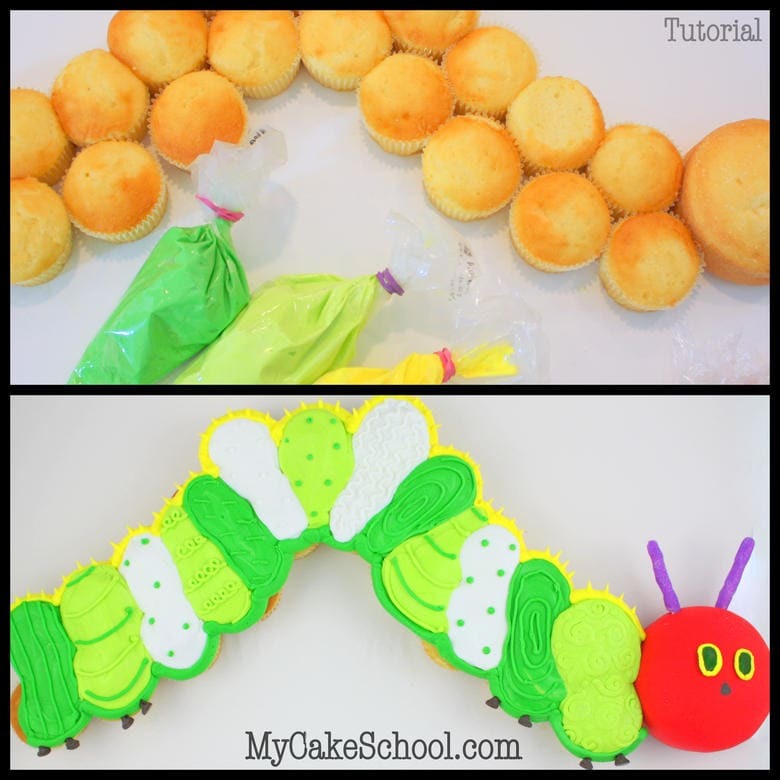 Kids will love to help with this cupcake project too! Find our step by step photo tutorial as well as a quick video here: Ice Cream Cone Cupcake Tutorial! Thanks for stopping by! 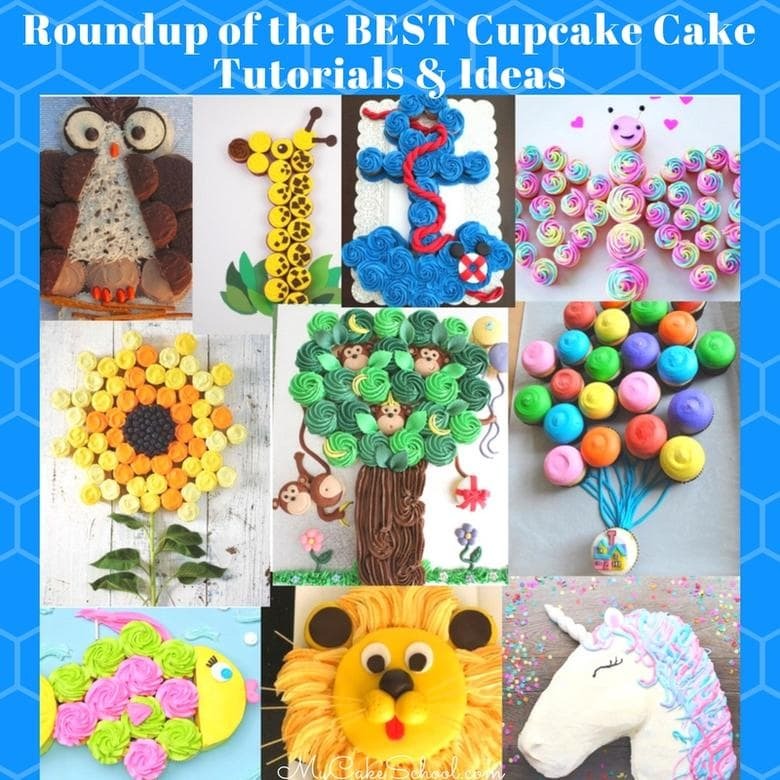 Make sure to check out our full collection of Free Cake Tutorials and Recipes here: Free Tutorials Section. Your Cupcakes need little Cupcakes! « New Year’s Eve Cake Tutorial- Pour the Champagne! Nice Job hope to do them soon. This is really a nice work!!! !